Rachel Radley Family Law’s experienced team of Maple family lawyers has a proven track record of success and is proud to deliver service to clients in Maple, Ontario. We have significant expertise in cases dealing with divorce, child support, spousal support, child protection, and other family-related legal matters affecting families across Ontario. Our trusted team includes custody lawyers with experience in issues such as regular child access. The Radley Family Law team is led by Rachel Radley. As such, we adhere to her belief in transparency, accessibility, and responsiveness when interacting with our clients. Trust the Radley team of Maple family lawyers to guide you through this difficult time in your life so you can begin the long process of moving on. We believe in protecting you and your loved ones in a wide variety of legal challenges that may emerge at any stage of your life. If you are considering initiating divorce proceedings or are involved in a family legal dispute, it is important to promptly contact a Maple family lawyer. Family disputes are emotionally draining experiences and can be quite lengthy and expensive. The faster you get the legal process underway, the faster you can resolve the issue and get on with your life. 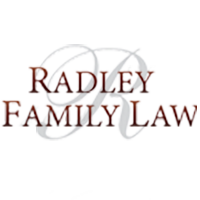 Contact the Maple divorce and child custody lawyers at Radley Family Law today to book a free, no-obligation consultation. Our team will attend to the details of the legal proceedings, giving you the chance to focus on your emotional health and the well-being of your loved ones. When you or a member of your extended family is involved in a family dispute, the next legal steps required can seem overwhelming. Considering everything you are going through, legal issues are probably the furthest thing from your mind. However, dealing with the legal issues surrounding divorce, spousal support, child support and custody, division of property and other family issues is critical to being able to successfully move on from this difficult period in your life. This is the time when you need to stand firmly and speak clearly for you rights. An experienced family lawyer can ensure that your best interests and the best interests of your children and extended family are represented in court or in mediation. Rachel Radley’s team at Radley Family Law has the experience and expertise necessary to address even the most complex areas of family law. At Radley Family Law, we believe in the importance of family. As a leading Ontario family law firm with a strong working knowledge of the province’s Family Responsibility Office (FRO), we are dedicated to providing fair, reasonable, and enforceable solutions to your family disputes. Radley Family Law’s team of Maple family lawyers provides free consultations to all clients. Call us at 905-669-2109 today to set up a free, no-obligation appointment. You can also reach us through our online “Contact Us” form. Radley’s family lawyers are prepared and ready to help you today! Rachel Radley serves her family law and divorce law clients from her head offices in Vaughan, Ontario.